Tracey Farnsworth is a gem! 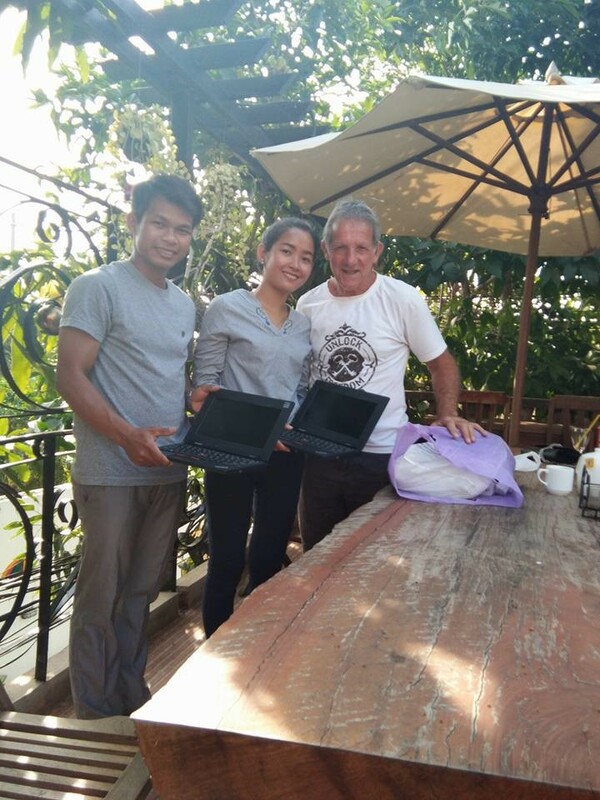 Having sourced 5 refurbished second-hand laptops, we were able to donate to them to the high school teachers at Sna Techo, Cambodia. 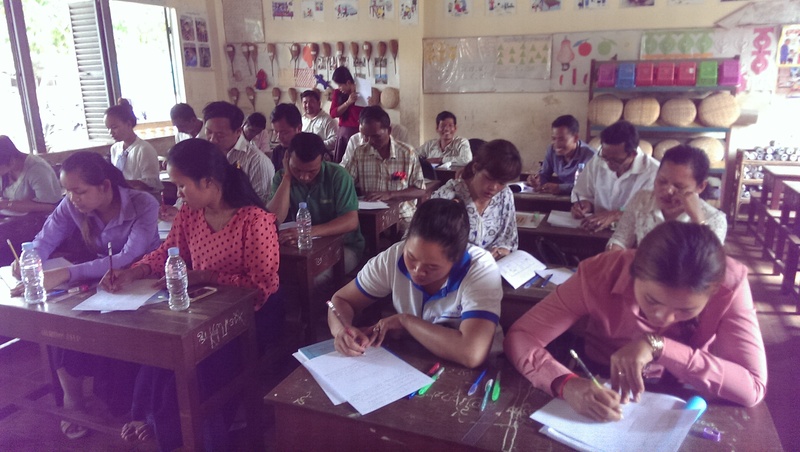 Some of these teachers have never used a laptop or indeed any form of computer before. 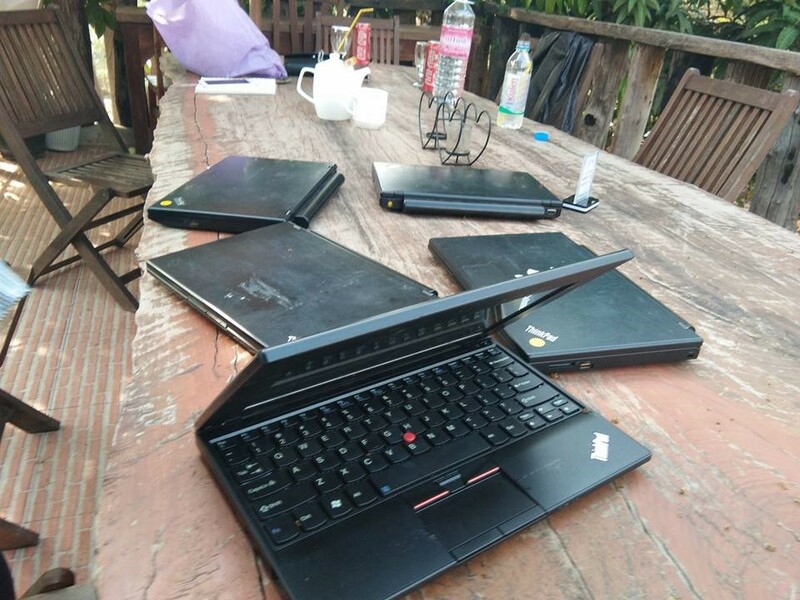 The Laptops required some extra in-country support because they had been set up for internet use and the school does not have an internet service. So, our good friend Sidorn Ouk from Angkor Wat Lions Club asked the computing staff at the National Polytechnic Institute to add Microsoft Office, a Khmer keyboard and an ability to switch the language between English to Khmer. 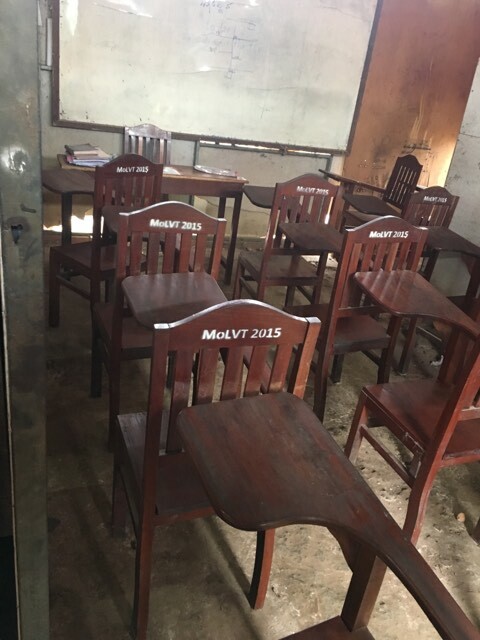 As an aside the “Institute” is currently in temporary facilities that include dirt floors for some classrooms and a complete outdoor classroom for the students learning air conditioning maintenance. It might pass for a storeroom for the likes of Holmesglen TAFE. Once the computers were geared up for use they needed a simple conversion plug from the Australian three pin to the Cambodian two pin. 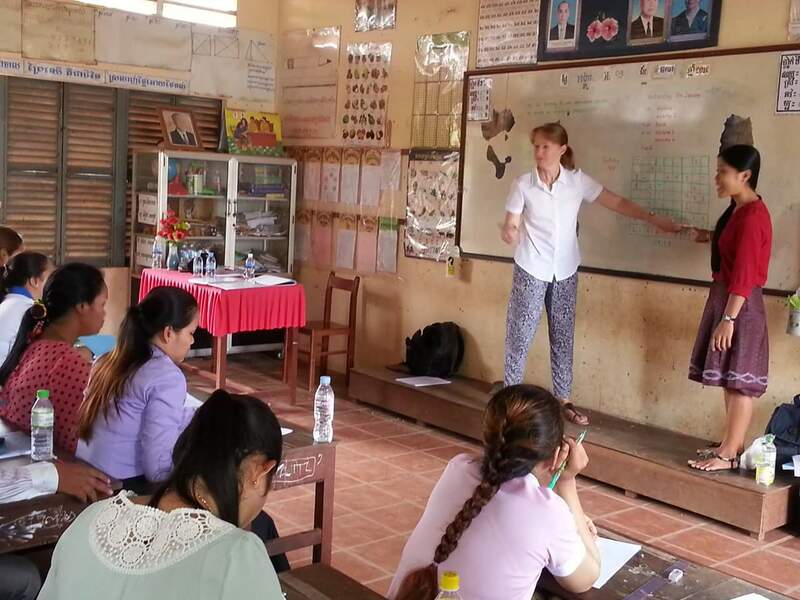 The next step was a tutorial for two teachers that spoke/understood reasonable English. A bonus was that they also bought a smart year 11 student with them for learning. 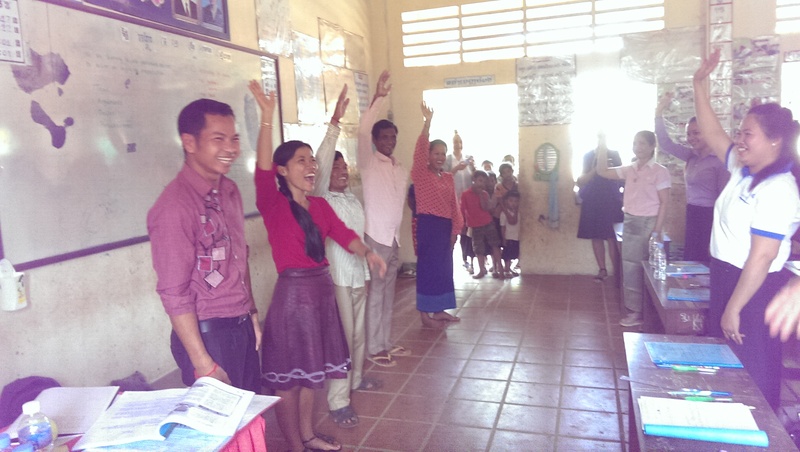 So after a couple of hours practice the teachers and student were able to do a word document in English and Khmer. They were also able to hotspot off their mobile phones and have access to the internet. Update 20/01/2018 Last week, we spent a good part of the day in a team led by Angkor Wat Lions Club member Youleang assembling and delivering 30 food hampers to the most needy families near Angkor Wat. The team consisted of Louise and I, Moorabbin Lions Club President Cerise de , Lions member Jennifer Tomkinson, her partner Arthur, two sisters and six teenage girls having their first real interface with extreme poverty. Perhaps a life changing experience for one or more of these teenagers. Yes, the tears of sadness and joy flowed throughout the day. Update 13/01/2018 The highlight for us were the smiles on the faces of the children when we gave them one of the simple soft toys donated by Louise Young (a member of our Rotary team last year) and the tears of joy in the eyes of some of the mothers as they received a simple food parcel. We started at the rice warehouse where we bought 300kg of rice for $us150. They bagged it in 10kg lots - see the photo and short video. Next we tracked to a very local market!! We bought cooking oil, fish sauce and other sauces and soap. We added toothbrushes and toothpaste to the bundles. A local village leader had identified the thirty families in advance and lead our convey to each home. Between two and four families were assembled at each location. At one location our teenage girls were aghast to see one of their international sisters with a basin of water hand washing clothes. You could almost feel their search for the buttons to turn the washing machine on. The local girl was excluded from the excitement because she had her chores to complete. In the attached photos you can see some of the families. 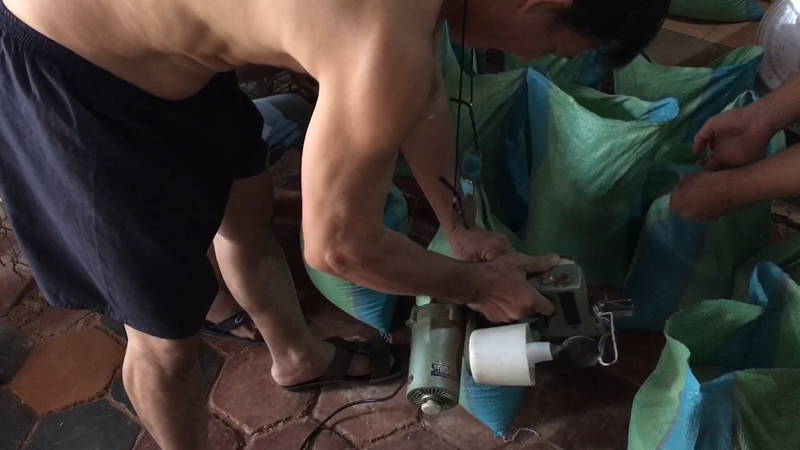 This example of working with a local likeminded community group allowed us to jointly provide support to a community - we could not have achieved this outcome without Youleang's connections to buy the rice cheaply, to select the most needy families and to be guided to their very remote localities off the beaten tourist tracks!! Sitting opposite me on the plane from KL to Siem Reap was the current District Secretary from Rotary District 3320 in Malaysia. 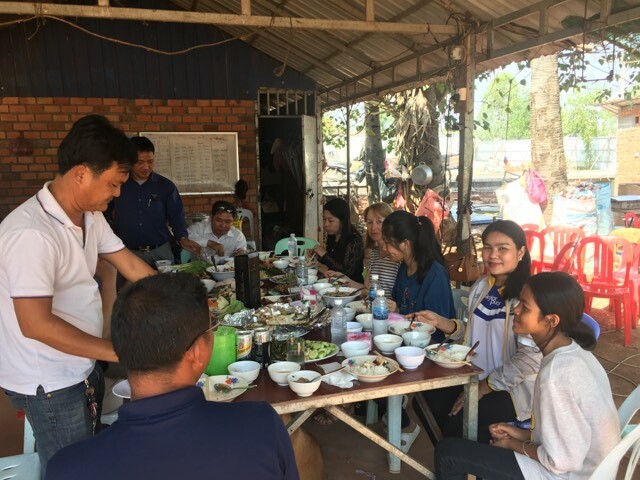 He is part of a team of eight people including at least 2 doctors and a couple of Rotary PPs who were coming to Siem Reap for cleft palate surgeries. I have their contacts for follow up. 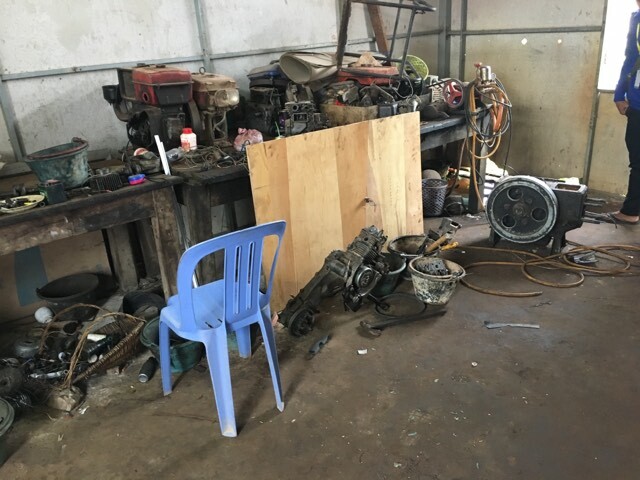 Going to visit a technical school today - motor mechanics plumbers etc- that Sidorn from Lions Club manages. Will soon be passing on to the secondary school teachers 5 laptop computers that Tracey Farnsworth very kindly donated from her ‘Progress Pikinini’ network of contacts. 2 teachers know they are coming and they are so excited!! 😊 Local Lions Club member from Angkor, who works for polytechnic institute, is adding Microsoft Office to the 5 laptops.